THE Samsung galaxy SII, which can be called S2 or 554, is another smartphone from Samsung Electronics, which was produced in 2011. The Samsung sII is an upgrade from the normal Samsung galaxy S. The Samsung galaxy S comes with a battery power of 1,500mAh, a 0.3MP front facing camera, But the SII comes with a upgrade in Power battery, camera, screen size, RAM, etc. 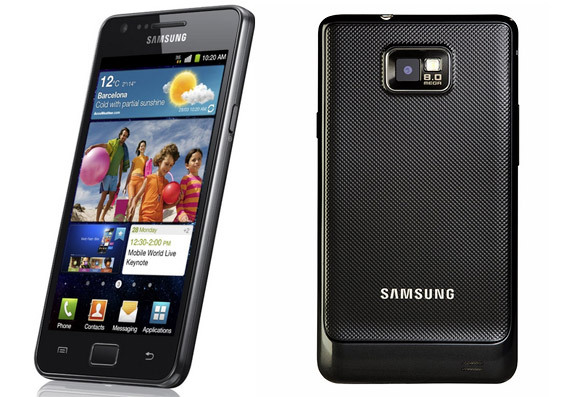 The Samsung Galaxy SII comes with a 4.30-inch screen size, 1.2GHz dual core Processor, and a 2.0MP Front facing camera. This smartphone camera has a resolution of 480×800 pixels, and a 1GB RAM. The Samsung Galaxy 554 comes with a 16GB Storage space. It features a back camera of 8MP (megapixel) and a Battery Capacity of 1650mAh. This smartphone has a solid design, good battery life, absolutely brilliant display that provides engaging view and above all, it is extremely comfortable to hold. You can easily operate this device with a single hand, and a photo captured with this is divine bracket camera quality is that excellent.